The Flex Series consists of our Wire-Flex and S-Flex™ frames, which feature photochromic lenses and highly refined flexible materials in a unique hinge design that automatically adjusts to the contours of your head. The Classics Collection combines timeless style with the absolute latest in photochromic lens technology. The Cosmopolitan Collection was designed to accentuate your lifestyle with its big, bold frames and the kind of advanced photochromic lenses that could only come from Serengeti®. The Sport Collection features stylish frames, along with our advanced and ultra-lightweight photochromic Polar PhD™ lens. 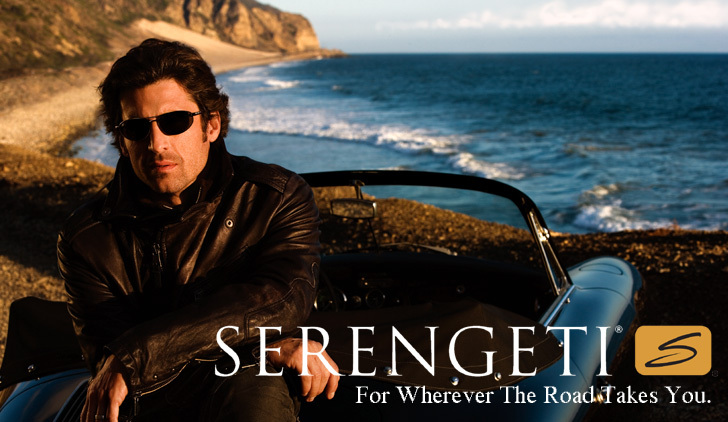 Serengeti® sunglasses offer the absolute best in lens technology and feature unparalleled attention to detail. Serengeti Photochromic lenses work by adjusting to changing light conditions so your eyes do not have to. While blocking out harmful UVA and UVB rays Serengeti lenses darken in bright sunlight and lighten in low light / overcast conditions delivering the ultimate in protection and visual acuity. This amazing versatility is why Serengeti sunglasses are the preferred choice of drivers as well as military and commercial pilots. The most optically advanced photochromic lenses on the market. Light on weight. Heavy on photochromic and polarization technology.